Brafton’s copywriting services remain its foundation, even as we’ve expanded into every aspect of content marketing strategy. 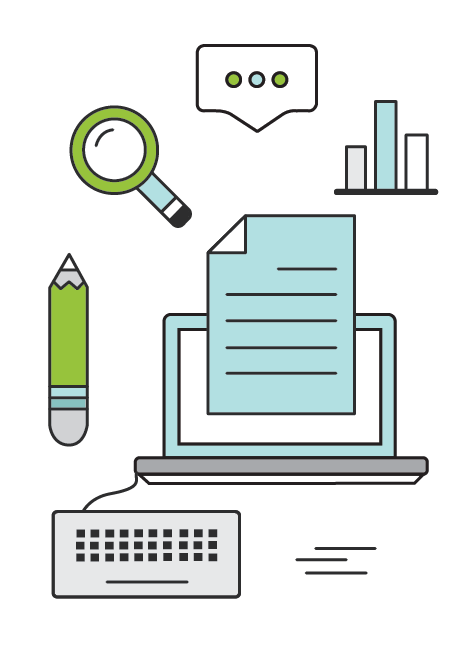 Combining industry-focused content writers who excel at nailing tone, style and subject matter with experienced content marketing strategists and project managers, Brafton ensures you can count on a copywriting services team that speaks to your target audience, drives commercial results and sticks to your deadlines. 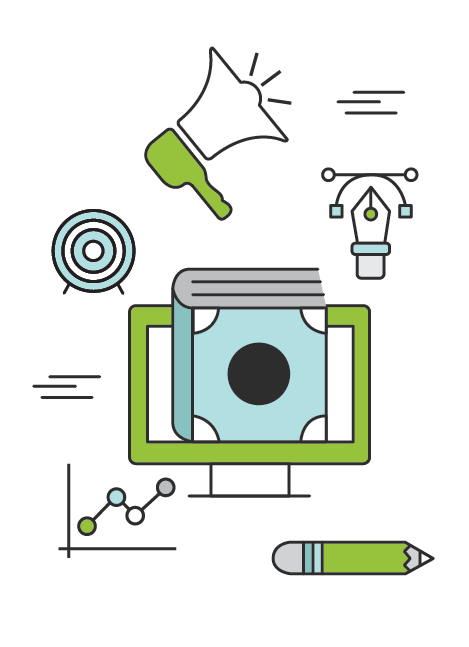 From blog posts and email newsletters to white papers and eBooks, Brafton’s copywriting services run the gamut from top-of-sales-funnel articles meant to build brand awareness to bottom-of-funnel collateral focused on generating leads and cultivating conversions. Our copywriters are not freelance! We take the time and care to hire the very best professionals who are well-versed in writing business copy in niche verticals. You need a professional copywriter featuring industry expertise for your website. We can deliver. Brafton content writers aren’t just trained on search engine optimization and digital marketing best practices. Your copywriter is also instructed on the intricacies of specific verticals through immersion on industry-focused editorial teams, allowing them to gain valuable insight into your business space. Common client industries at Brafton include finance, law, manufacturing, health care, education, technology, entertainment, travel and many more. Whether you’re seeking copy for news-based articles on trending topics, educational evergreen pieces, through leadership commentaries, product press releases or something else entirely, rest assured your content writer can produce it quickly and competently, incorporating industry expertise along with proven content marketing strategy. Brafton copywriters are also happy to conduct interviews with client stakeholders as preferred to learn more about your specific industry, business, product, service and value proposition. Email newsletters allow you to keep current and prospective customers informed about your brand and engaged with your product and service offerings. A cornerstone of successful email marketing strategy, newsletters represent an ideal way for staying top of mind among your target audience while gently guiding prospects down the sales funnel. 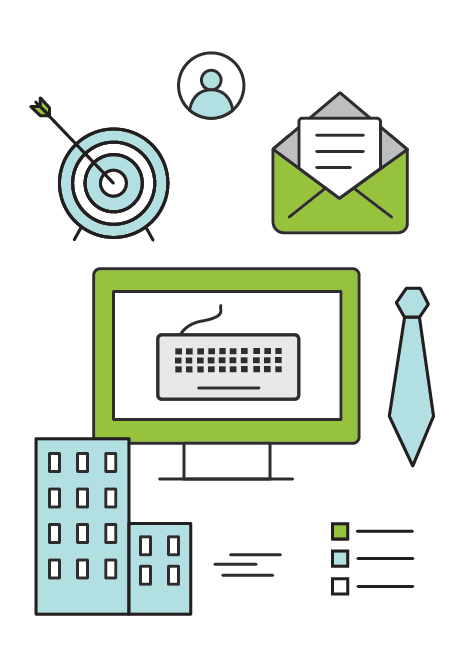 Brafton’s newsletter writing services begin by identifying your target audience through subscriber demographics. Once appropriate personas have been created, your content writer will craft a newsletter – either wholly original or incorporating existing content marketing assets – to appeal to this specific audience, encouraging higher open rates, click-through rates and conversions. Additionally, your content marketing strategist, project manager and graphic designer will work together with your copywriter to ensure every newsletter is tailored to resonate with your target audience and drive web traffic toward your desired destinations. 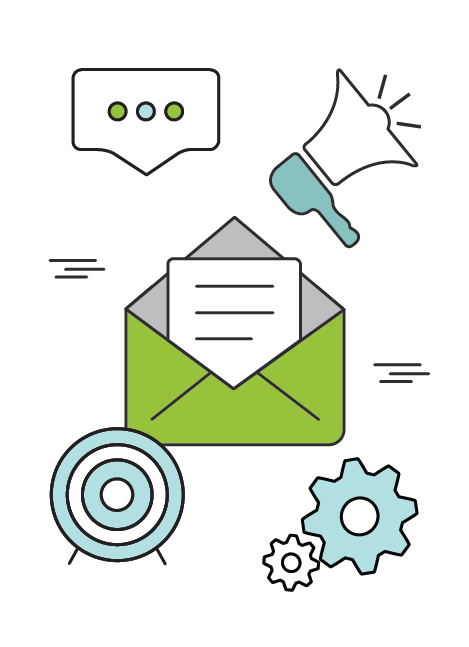 All newsletter campaigns are comprehensively tested, measured and refined to make sure commercial objectives are being achieved on your website. White papers are essential to establishing your brand as a trustworthy thought leader in a specific industry. These high-quality content assets build credibility among online audiences by demonstrating expertise, all while providing excellent lead generation opportunity through downloads from potential customers. Your Brafton content team will work with you to determine the topics that resonate most with your target audience, collaborating with your own internal subject matter experts to develop a valuable, relevant content marketing asset that will wow your audience and support established commercial goals. Your Brafton copywriter, along with your graphic designer, will work to minimize text in favor of visual storytelling while still ensuring the editorial component of your eBook is clear, comprehensive and valuable. Each sentence is written to remain concise while maximizing impact for your target audience, with visual themes often interwoven into the language to support custom illustrations and other graphic elements. The balance between useful information and the easily digestible format makes eBooks premier middle-of-funnel content marketing assets.